My new hobby is officially an obsession. 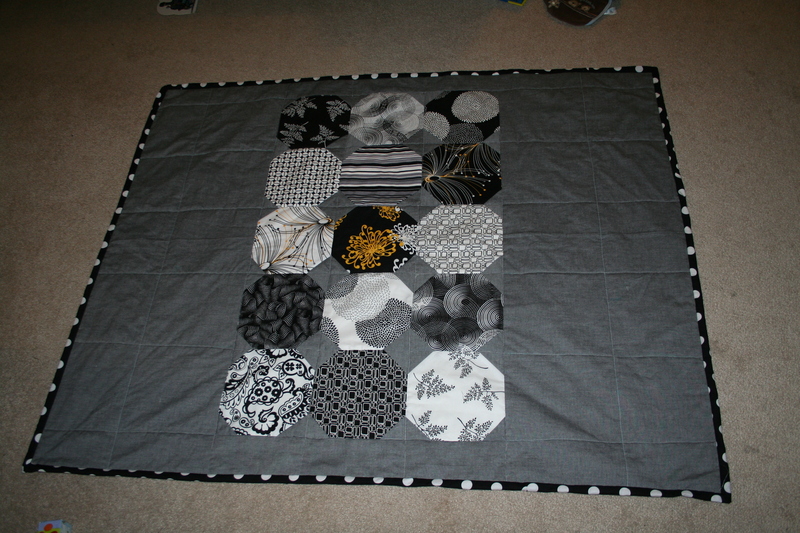 Here’s a baby quilt I made for a new arrival, due in the next three weeks or so, gender unknown. My kids just loved black and white when they were babies, and I thought this would be a fun take on gender-neutral baby decor, since things tend to be yellow or green or pastel. I got the patterns in the clearance bin at my favorite fabric store just before Christmas and really enjoyed the results from trying a snowball block (basically an octagon). 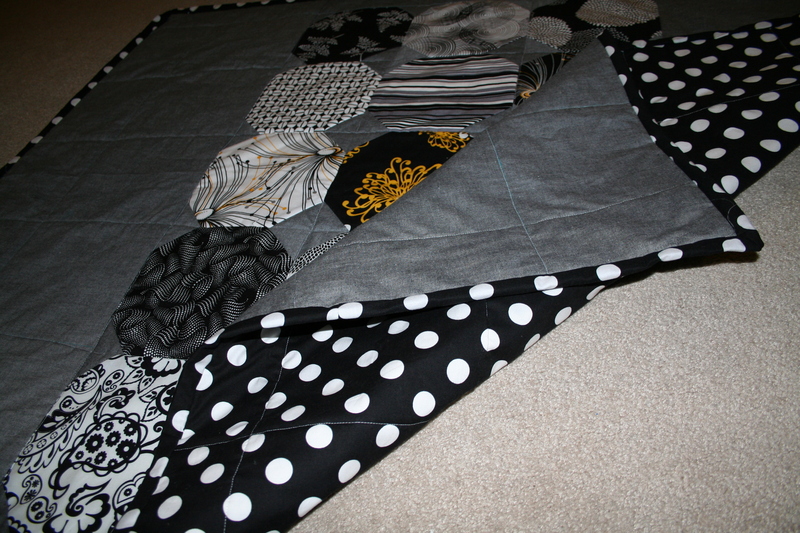 The back is black and white polka dots. 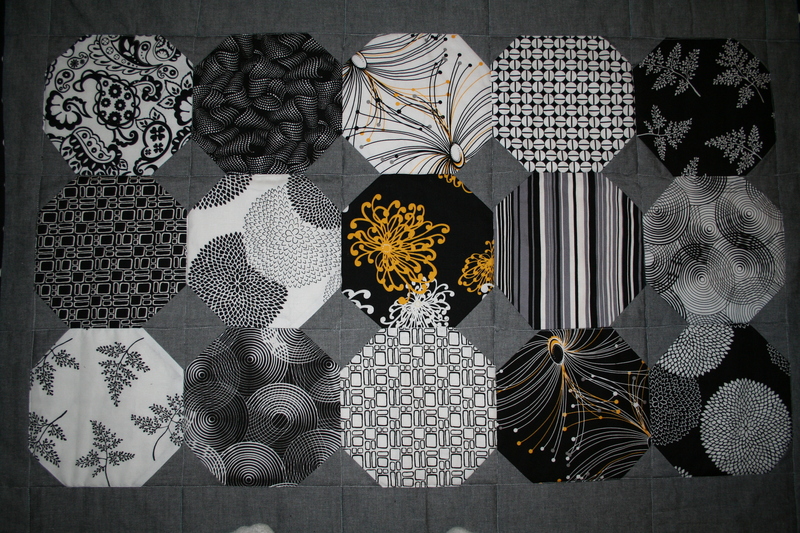 I thought the patterns ended up looking a little mature, so the dots definitely keep it in kid territory.